Kurds in Northern Syria are expected to declare a federal system in Syria, with the areas they have seized in the northern part of the country acting as an autonomous zone. The announcement is expected to come in a matter of hours according to media sources on the ground in the Kurdish-controlled areas. According to these reports, a conference to declare the federation of three Kurdish entities in Syria will take place in Rmelan. The “new project” would replace the currently autonomous zone of Rojava by formally creating a Federation of Northern Syria incorporating the 250 miles of Kurdish-held territory along the Syria-Turkey border with the section of the northwestern border near the Afrin area. At least, this is the plan as relayed by Idris Nassan, an official working in the Foreign Affairs Directorate of Kobane (Ayn al-Arab). The new system would entail “widening the framework of self-administration which the Kurds and others have formed,” he said. Still, the representative of the PYD party in Moscow, Abd Salam Ali, told RIA Novosti that “Within days, probably today, self-governing [bodies] of three Kurdish cantons in Syria’s north will declare a federation.” But Ali pointed out that autonomy did not mean separation from Syria, merely the establishment of a looser centralized governing system and the “federalization” of the Kurdish area. 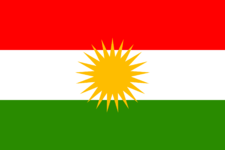 He said that the new “Kurdistan” will remain part of Syria. It should be noted that the Kurdish move comes as it becomes clear that the Kurds will not be included in the Geneva talks. While Turkey is obviously pleased at the exclusion of the Kurds, the Russians have repeatedly contended that they should be involved in the process. Even Staffan de Mistrua, the UN Envoy to Syria, has agreed that the Kurds should be included.